Ford Motor Co is devoting one of its largest research laboratories to the development of hybrid, plug-in hybrid and electric vehicles as part of a focus on fuel-efficiency that has been a centerpiece of its revival since late 2006. This year, the No. 2 U.S. automaker will offer nine vehicles that can get more than 40 miles per gallon. 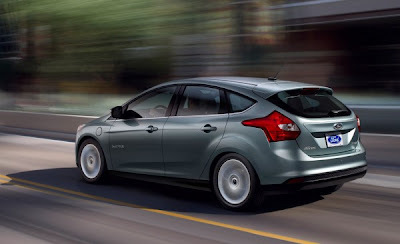 This includes its first all-electric passenger car, the 2012 Focus Electric, and the 2013 Fusion Energi, a plug-in hybrid sedan. The red-brick 285,000 square-foot advanced engineering center in Dearborn, Michigan, will be the center of Ford's efforts to develop fuel-efficiency technology. Ten years ago, Ford surveys showed that consumers were rejecting the brand because of its poor fuel economy, said Raj Nair, who will be head of Ford global product development on April 1. "Now people are coming to us because we do have superior fuel economy to the majority of our competitors, and that's going to be the heart of our strategy going forward," said Nair, who is now the global head of engineering. U.S. regulators and automakers have said fuel-efficiency and emissions standards will grow stricter over the next decade. That coupled with higher fuel prices have prompted automakers to experiment with hybrid and electric vehicle technology. Ford, which ranks behind General Motors Co, is centralizing development of these vehicles at a time of increasing doubts about the affordability and effectiveness of electric cars. At the same time, engineering tweaks to a traditional internal combustion engine have helped automakers wring out more miles per gallon. The Focus electric car gets the equivalent of 105 miles per gallon, while Ford projects that the Energi can get the equivalent of 100 miles per gallon in electric mode. The company said it would also sell three gas-powered 2013 Fusion models and a hybrid that can get 47 miles per gallon. Ford will also offer EcoBoost engine technology in 11 of its vehicles this year, up from seven in 2011. Ford says EcoBoost can boost fuel economy by up to 20 percent. Over the past five years, Ford has doubled the number of engineers working on electrified vehicle development to 1,000 people worldwide. Ford will hire dozens of engineers this year as part of its plans to add more than 12,000 hourly and salaried jobs by 2015 in the United States. By 2013, Ford will triple its production capacity of hybrid, plug-in hybrid and electric vehicles in the United States from 2011 levels. Ford expects electrified vehicles to account for between 10 percent and 25 percent of its sales by 2020. The success of electric cars relies on lowering prices without selling cars at a loss, analysts say. For that to happen, improvements in battery technology are needed. Ford research shows that consumers are more apt to buy electrified automobiles if it takes less than four years to recoup the higher vehicle cost, assuming gasoline costs $4.50 a gallon. Ford would like to shrink the payback period of future generations of the Fusion Energi to three to four years, said Bob Taenaka, the company's battery technical leader. "To offset the higher price of the vehicle, in three to four years, we'd want to make sure that the customer has recouped that additional money that they've repaid," he said. The 2013 Fusion Energi arrives in showrooms later this year, and Ford has not yet calculated the payback time on this current model, spokesman Wes Sherwood said. But the payback period on the 2013 Fusion hybrid "is expected to be close to, if not quicker than" four years.